Altivar 212 Orientated towards performance, intelligence and building protection. 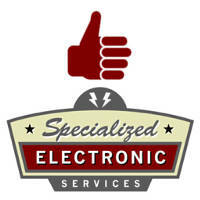 Dedicated HVAC* Focused on Building Management Systems (BMS). Easy integration to building supervision network using embedded protocols. Instant detection of system failure: belt breakage, pump running dry, phase failure, etc. Preventive maintenance for reducing costs: fault alert, operating time, etc. Energy consumption monitoring. Focused on user-friendliness – Easy set-up, commissioning and diagnostics tools: remote graphic terminal (6 languages as standard), Multi-Loader, PC Software, Bluetooth capability and SoMove Mobile software. Compact size for better integration. Focused on cost savings – Reduced investment costs (embedded functionalities). Quick return on investment (energy saving). Focused on protection & efficiency – Continuity of service. 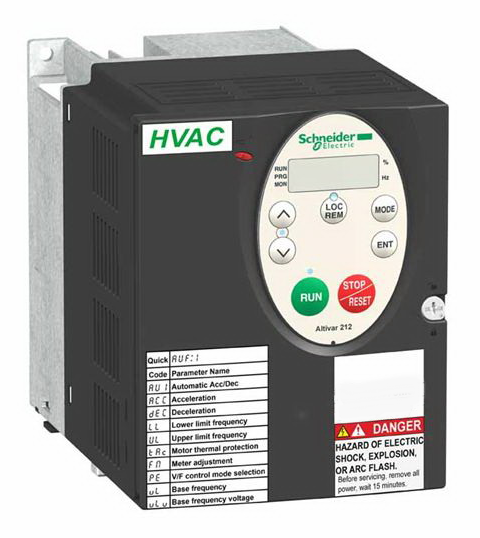 Functions designed for buildings: fi re mode, damper monitoring, mechanical protection, etc. • Integrated EMC fi lter. • Antiharmonic technology (THDI ≈ 30%).